The days of extra-plump variable-rate discounts may be numbered. A handful of lenders began trimming their variable-rate mortgage (VRM) discounts this week. They’ve gone from prime minus 0.75% (the average market rate) to prime minus 0.65%, or even prime minus 0.50% in some cases. To most, these changes have seemingly sprung out of nowhere. Few expected rising VRM rates before the Bank of Canada resumed tightening. Unfortunately, it’s happening now and it’s beginning to smell of a trend. So far, four of the top 10 broker lenders have reduced discounts, and others are considering following suit. In very simple terms, it seems variable-rate mortgages have basically stopped being profitable for a lot of lenders. We spoke with three lender executives for this story. Two said they were actually losing money on every variable they write. One lender was basically breaking even. Narrow spreads are the culprits. (The “spread” is basically the rate you get as a customer minus the lender’s base cost to fund your mortgage). Spreads are so poor that at least one lender is reportedly calling existing variable-rate clients and offering fixed rates well under the market as an incentive to lock in. The basic math is straightforward. Take a typical VRM that’s priced at prime minus 0.75%. Then consider that a lender’s base cost on a variable is typically the 30-day bankers’ acceptance (BA) yield, or a close substitute like the overnight rate. The 30-day BA is 1.20% at the moment, leaving many lenders with a gross spread of just 105 basis points (2.25% – 1.20%). Most lenders need that margin at roughly 120-130 bps. Including underwriters, fulfilment staff, sales support, customer service, etc. This is a big one. In Australia (which in many ways is an analogue to Canada’s mortgage market), lenders slashed sales compensation when VRM spreads collapsed. In Canada, lenders prefer to cut the interest rate than disincentivize their distribution channels. There are risks and opportunity costs when lenders, or investors, fund a mortgage from their balance sheet. These risks (and some of the tools lenders use to deal with them, like interest rate swaps) are material costs that must be built into a lender’s rate model. These costs can be significantly higher for non-deposit-taking institutions (aka., “monoline lenders) and smaller banks & trustco’s. Lenders don’t hedge VRMs like they hedge fixed rates. Yet, bankers’ acceptance rates can and do jump before prime rate does, which cuts lender revenue further. It wouldn’t be as bad for lenders if people stayed in variables for a full five years, but the average duration is only about three years. That means lenders often have just three years to recoup the above costs (barring customer refinances or conversions–which lenders don’t always factor into cost models). One relatively new phenomenon helping to boost rates are the IFRS (International Financial Reporting Standards). Global banking initiatives like IFRS are compelling lenders to increase the capital they must set aside, and that’s expensive. This expense is now filtering down to consumers. One high-level bank exec we talked to called IFRS the “most significant shift in the mortgage business in decades.” He suggests IFRS is having a visible pricing affect and will “impact the willingness of lenders to lend” at deeply discounted rates. That kind of pricing can’t last forever, states Hugh. He sees prime – 0.50% as more sustainable long-term. “People have to remember, it’s shareholders who set (mortgage) rates,” he says, and shareholders demand a return on equity. Once prime rate eventually does start climbing, it could create even further spread compression. At that time, lenders will likely have to start paying more competitive savings rates (which may translate into higher mortgage funding costs according to one source). In turn, that could put additional pressure on VRM margins. How things shake out from here remains to be seen. In the near-term, more lenders will certainly follow the pack and reduce their own VRM discounts. How long those price increases stick is anyone’s guess. Lenders have sometimes been known to raise rates, and later relent when the market doesn’t follow, or when they start losing share. There is at least a hint of positive news in all of this. Lest you think lenders are totally collusive, be assured that certain lenders with good liquidity may still keep prime – 0.75% rates or better, even if only a promo basis. To be safe, though, you should call a mortgage professional soon if you’re dreaming of prime – 0.80% or more. There’s no way to know for sure, but there is at least the potential that those kind of rates could vanish…relatively soon. Sidebar: The rate changes discussed here do not affect existing variable-rate holders. Speaking of Australia when they were rasing rates down there in the last years or so, Westpac major bank actually raised their rates by 0.45 when the BoA raised by 0.25. So don’t be surprised if in the future BoC raises by 0.25 some Canadian banks might go higher! thanx for the heads up on the variable rate discount changes….just checked my lender and thats exactly what they did on tuesday…assuming my variable discount will remain the same for the life of the contract right? Hi NP, Yes indeed. If you have a regular variable-rate mortgage, your discount will remain fixed until maturity. This is a huge head-fake. The fact is the Prime-BA spread has stayed consistent for years with the exception of a small blip in 2008. In fact, as you point out, its increased with the pocketing of 25 bps a couple years ago. If reserve requirements are indeed increasing for many lenders, it certainly doesn’t warrant the crappy pricing Firstline (and others) are trying to pass on. They’ve been profitable at over a decade on prime minus .75%, so why is this changing now (especially with an extra .25% to play with)? Pressure to increase profits with funding volumes plateauing? Sorry – got carried away with “over a decade”…Certainly over half a decade though. Once prime rate eventually does start climbing, it could create even further spread compression. At that time, lenders will likely have to start paying more competitive savings rates (which may translate into higher mortgage funding costs according to one source). Could $100 Oil Spike Mortgage Rates? This was back in 2007, now four years later we have not changed…except more debt/personal/government/higher taxes. In a nutshell, the high energy prices is the interest increase already. The economy will slow down. So I am to renew my mortgage today and have been offered 5 years VRM prime minus 80% or 3 years at 2.99% fixed….what should a person do? If you have to ask what to do, you better take the 3 year @ 2.99%. With current variable rates at about 2.20, a three month interest penalty for breaking the mortgage would be about $550 per $100K. This doesn’t leave lenders much to recover funding costs, under-writing… I understand how lenders are loosing money, if people switch. Is there a way for lenders to charge a higher penalty say which ever is higher 2% or 3 months interest or do they need to follow the current standard penalty formula? The 2.99% three year fixed seems better to me. If the Bank of Canada increase rates 1% then you’re even. At least 1% higher rates are a given IMO. I am renewing soon. Can I ask what institution is offering 2.99% for a 3 year fixed? could you plse let me know the institution offering 2.99% for 3 years? Have you taken a look under the early repayment section of your Standard Charge Terms (or Disclosure Stmt)? Many lenders already have a re-investment fee on top of their standard penalties… Hence why there should be some sort of standardization in the way penalties are defined to help consumers come to terms with the true costs of breaking a mortgage early. I’m in the same situation as meakes@hotmail.com – I have 2 mortgages to place with a choice of VRM P-.08% 5 years or 2.99% for 3 years. While we may break even in a year of increased rates, that means 2 years of better deal with a fixed BUT then what? A shrinking spread and higher rates at that point or do we stick with the VRM for the full 5 yrs? I think we need to crunch some numbers? For those two others that asked where… I deal with Scotia but a lot will depend on your credit and your relationship. Good luck. Whistler, we the Mortgage Brokers are so greedy! 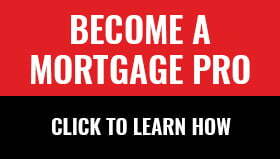 Dont you think a mortgage lender should make some money? we always wondering why more lenders are leaving the broker market, the reason is very simple, WE MADE IT SO EXPENSIVE TO DEAL WITH US. here is my prediction: Mortgage broker market will be less then 5% in 4 years! Now you can take this to the Bank! I am buying my first house and have the option of a 5 year fixed rate of 4%, and VRM at prime minus .75%. Any suggestions please. I’m in the same boat. I have decided to split two thirds fixed and one third variable. I feel this strategy matches my risk tolerance and gives at me some of the benefit from the low variable rate while not over exposing me. Thanks for the note. Regarding banks eating IFRS-related costs: When spreads are narrow banks don’t eat costs. They pass them along. Otherwise their return on capital is insufficient. (Again, spreads are already well below long-term averages.) These higher capital costs are real, and they will be borne by consumers…unfortunately. Prime -.75% minus 30-day BA’s leaves a gross spread of only 105 bps (versus ~140+ bps on a 5yr fixed). Liquidity costs, risk premiums, and originator compensation are all several basis points higher today than pre-crisis. Those are real expenses that must be accounted for. Mind you, I do agree with you that there is now more pressure to generate profitable volume versus market share. As a result of this, some in our channel are increasingly concerned that banks are favouring branches a bit more than the brokers. This pricing move might be an example of that. You say the average duration for a five year variable term is only about three years. Do you know exact stats on this and for fixed five year terms? I would like to know on average the length of a five year term before payout.